What does CSA mean to us? CSA, or community-supported agriculture, is based on a mutually beneficial relationship between the farm and the people who consume our food. Because our farm supports 50 families through year-round employment, the financial support of our CSA program is critical to our success throughout the seasons. CSA is also an integral way for the farm to personally connect to the people who eat our food. We truly thank you for your support! Sign up for the month, quarter, or the entire year and receive a weekly or bi-weekly delivery of just-picked, seasonal, organic produce to a site near you. Subscribe to a full year of Riverdog CSA boxes and receive two boxes on us! Each box is $24 and an ideal size for a household of two, or as a great mid-week supplement of fresh fruits and veggies. You can now add an order of bulk vegetables or fruit, Riverdog pork, or Riverdog chicken to your weekly CSA delivery from our web-store. Questions? 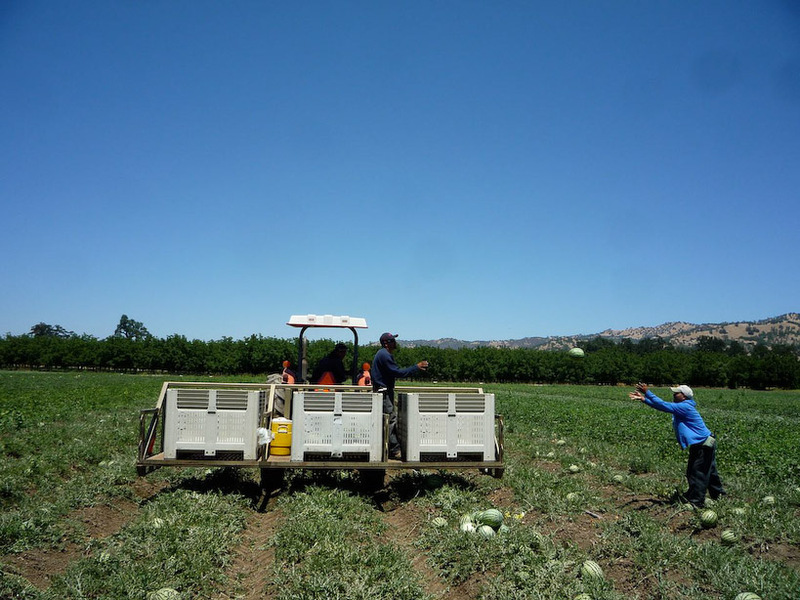 Contact us at the office via email: csa@riverdogfarm.com or call (530) 796-3802. 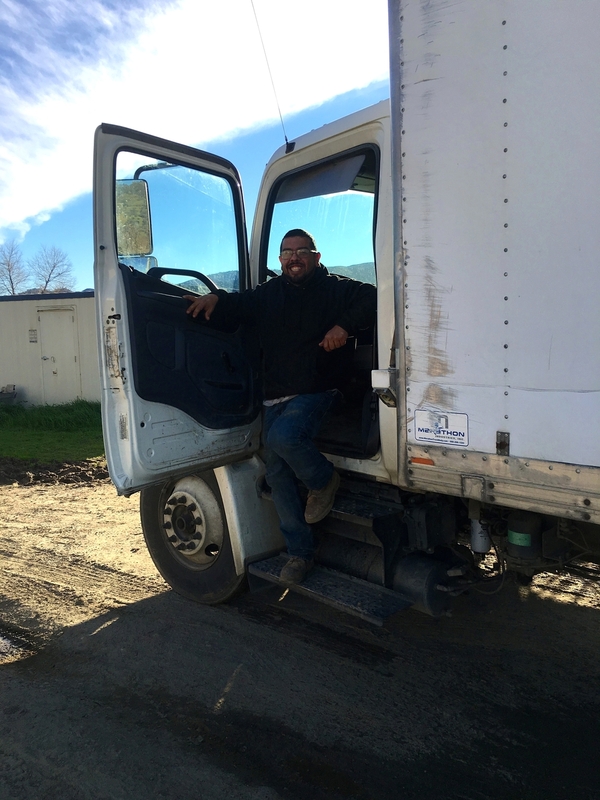 Your CSA box is delivered weekly or bi-weekly to one of our many pick-up sites throughout Napa, Lake, Solano, Yolo, Sacramento, Alameda, Contra Coasta counties and San Francisco. You pick up the CSA box at your host site during designated hours. Simply show up, sign your name on the sign in sheet, grab a box and be on your way! Exact pick up addresses are given to members once subscribed. You can see a list or map of all our pick up locations by clicking the Sign Up button above. 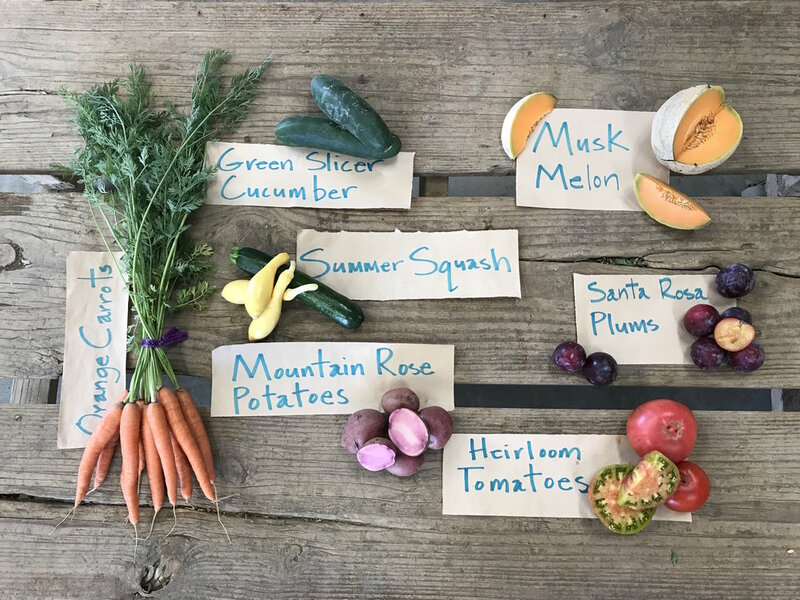 With the increase of “farm-fresh boxes” being offered in cities around the country, what makes ordering a CSA box from Riverdog different? For starters, you can be assured that the food in your box was grown by a farm that treats the land and employees well—and that it was picked fresh for you! We put a lot of care into providing bounty and variety in every box. We believe that the joys of having a connection to a family farm include receiving weekly updates from the farm, cooking with seasonal staple vegetables, and getting the chance to try new produce! We provide transparency about our growing methods and depend on continued support from our community to keep our farm running year-round. Every October CSA members are invited to our annual Pumpkin Party, where we provide lunch and dessert, drinks, farm tours, and pumpkin picking for the whole family! Interested in becoming more involved? Become one of our site hosts and receive one free box per week! Community involvement with our farm is essential to our success. Please contact the farm for more information!